Will enough Minnesotans have the right skills to fill the jobs needed to keep the state's economy humming in the coming decade? That question has been vexing employers, higher education officials, economic development experts and others for several years. Answers to it vary with the field and with geography. But many of those people are trying to make sure residents have the right opportunities, employers have access to the right people and public entities play an appropriate role. This Ground Level exploration shows how the state, employers, private trainers and others are grappling with why some jobs in Minnesota are hard to fill. 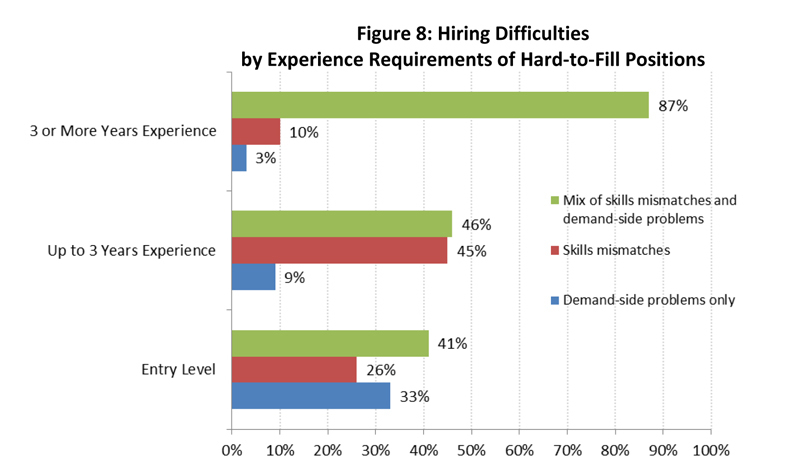 Many employers complain they have difficulty filling jobs. Sometimes that's because workers don't have the right skills; other times wages and other factors are at play. A group of central Minnesota colleges are boosting their efforts to provide training for advanced manufacturing skills, using a $13 million grant from the U.S. Department of Labor. Some Minnesota companies that have difficulty finding people to fill jobs say the problem isn't skills as much as it is a lack of housing for employees in remote parts of the state. One reason good manufacturing jobs are going unfilled may be that high school students aren't exposed to what careers are available or to training that can prepare them. A fledgling organization called the Minnesota Innovation Institute is trying to move quickly to match skilled jobs with the Bemidji area residents who want them but aren't ready for them. 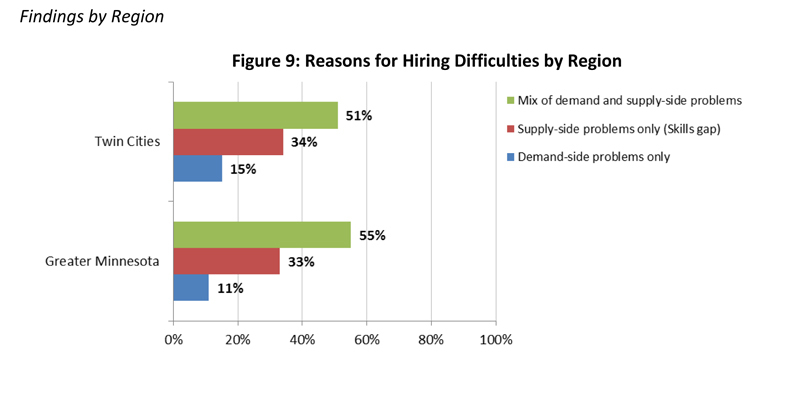 There's no question some employers have difficulty filling jobs. 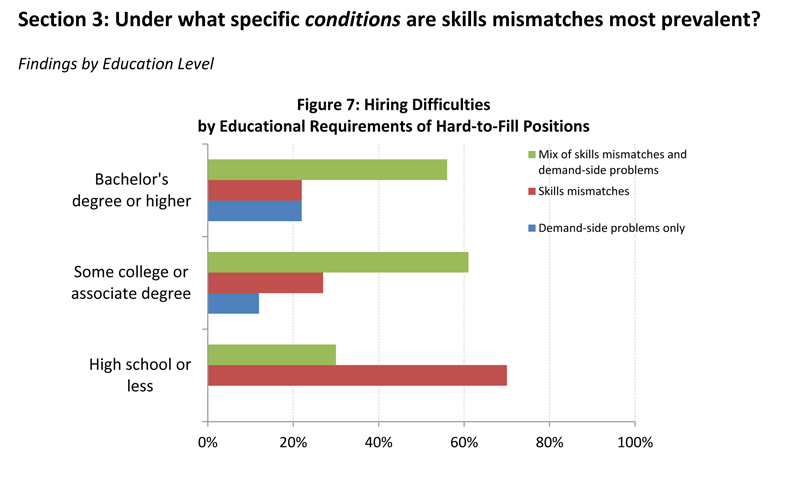 Lack of workers with the right skills is a reason but not the only one, says a state report from the Minnesota Department of Employment and Economic Development. 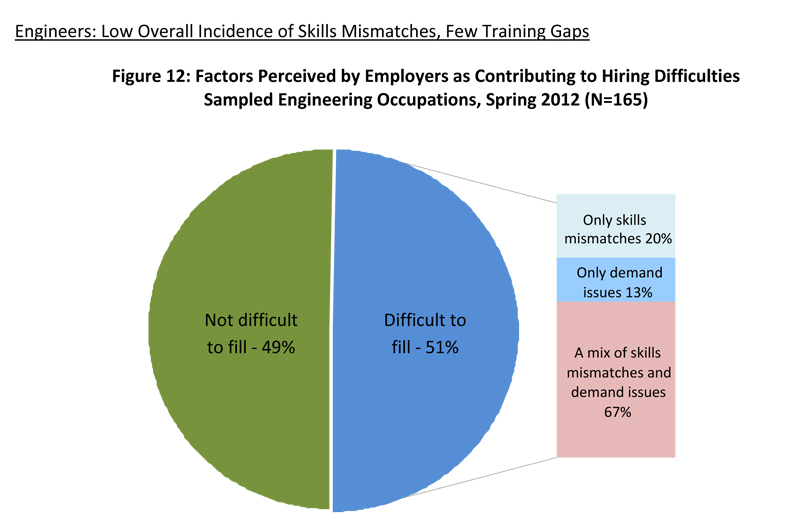 A March 2013 report by the Department of Employment and Economic Development sheds new light on the so-called skills gap in Minnesota. These are some of the key graphics included in the report, which draws conclusions from a survey of employers who had 1,500 jobs open in 2012. Nearly half of those were considered “hard to fill,” but the reasons for that difficulty varied. 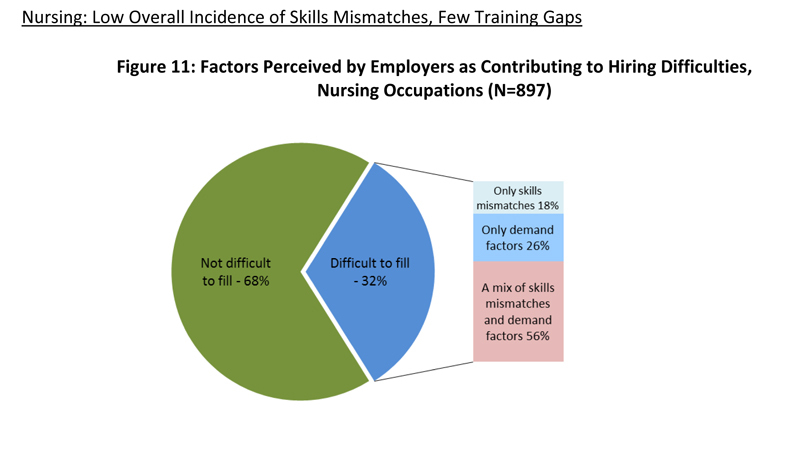 The study focused on three job sectors: nursing, engineering and manufacturing production.